Whilst it may be fashionable to finish your wooden surfaces with teak, linseed and other types of oils, after just a few months these oils can become clogged with dirt and damage form UV rays, causing your once beautiful looking wood to look black / grey and dirty. Aquanett is our solvent free wood oil remover for use on old and new oils. It is a powerful yet biodegradable remover and cleaner that strips out old, new and even encrusted oils from exterior wood that has been blackened by dirt and UV rays – it also cleans severely weathered wood. Free from solvents and paraffin, Aquanett is suitable for environmentally sensitive areas as it’s gel consistency means it will not run, making it perfect for use on vertical surfaces and gets to work in as little as 5 minutes. 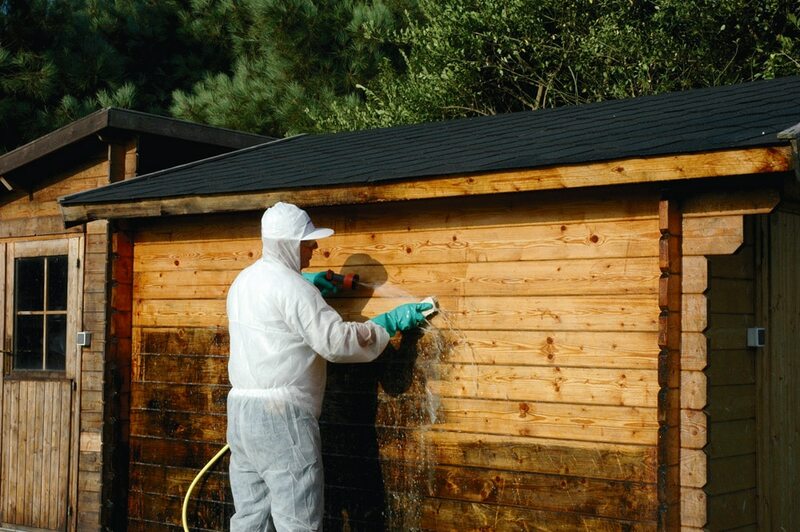 Take a look at our simple guide to see how quickly and effectively Aquanett can restore your wooden surfaces back to their former glory. Once this has been done, you can apply the Aquanett. Thoroughly rinse the surface after stripping with fresh clean water – the use of hot water makes this job easier. After stripping and rinsing, surfaces must immediately be treated with Net-Trol, our neutralizer and color restorer while the wood is still wet. Take a look at our product demonstration video below to see just how simple it is to use Aquanett. Treat stripped wooden surfaces with Net-Trol to restore the woods original colour. For queries or more information, feel free to contact us.